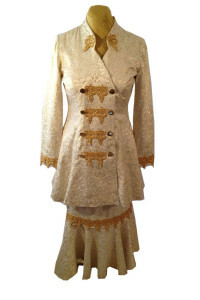 2 piece brocade suit. Double breasted with gold appliqués. 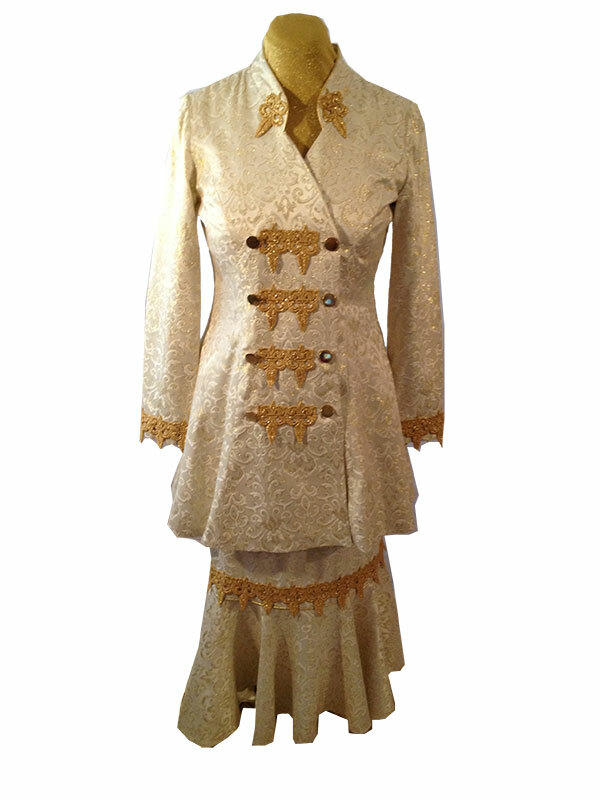 Fluted skirt with gold trim. Elastic waist. Available in cream/gold or cream/silver.